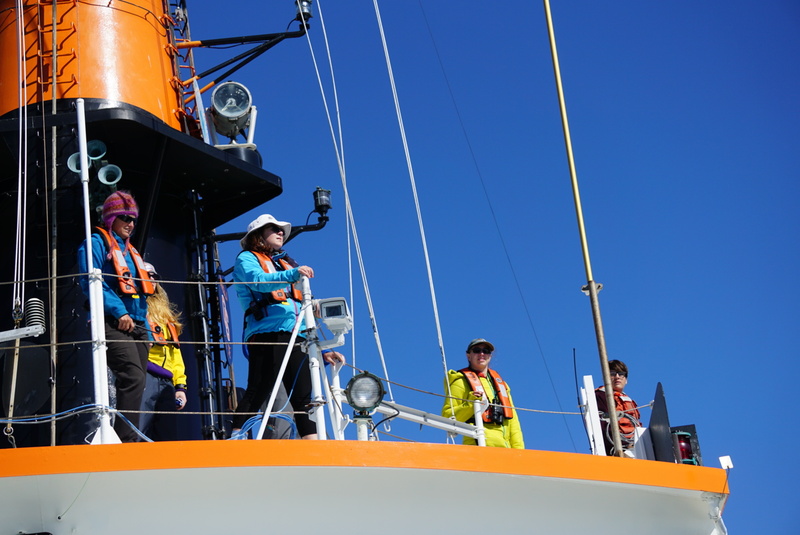 Day Two of our oceanographic cruise started with us once again surrounded by humpback whales feeding. 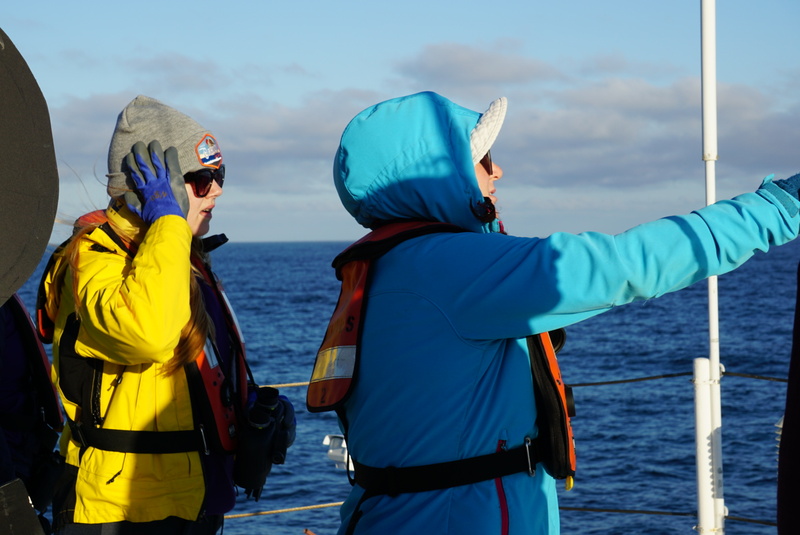 In addition we have seen more seal lions and flocks of seabirds including some black footed albatross. 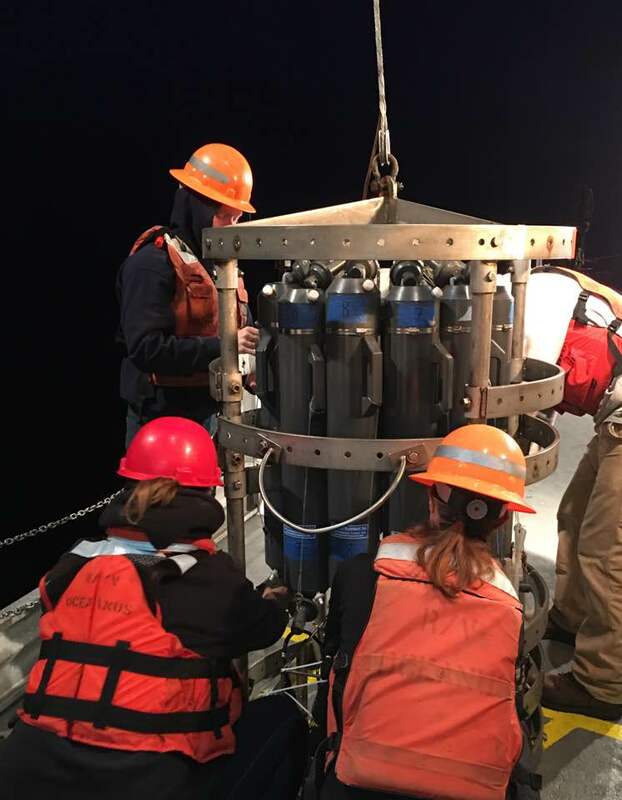 Our teachers and students continue to shine as they deployed and retrieved another CTD (to measure Conductivity, Temperature and Depth) and collected and entered survey data into the computer on the fly bridge. 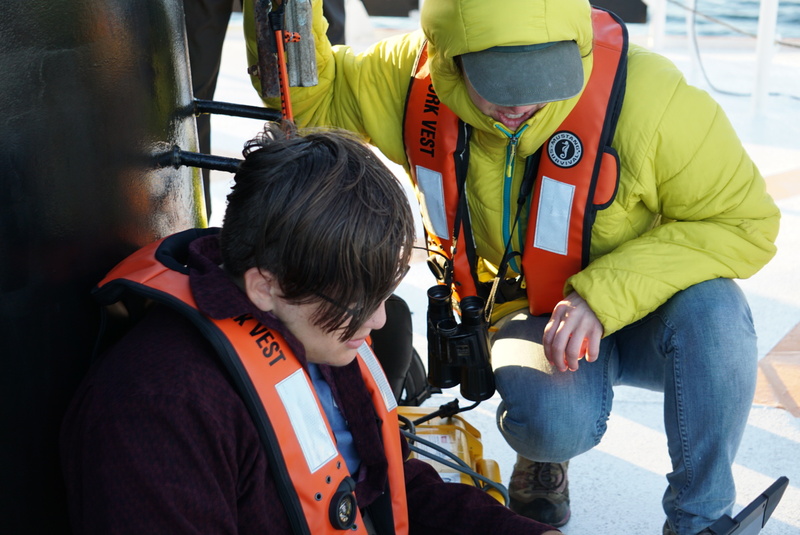 Unfortunately, the weather turned overcast and chilly today forcing us all to bundle up. 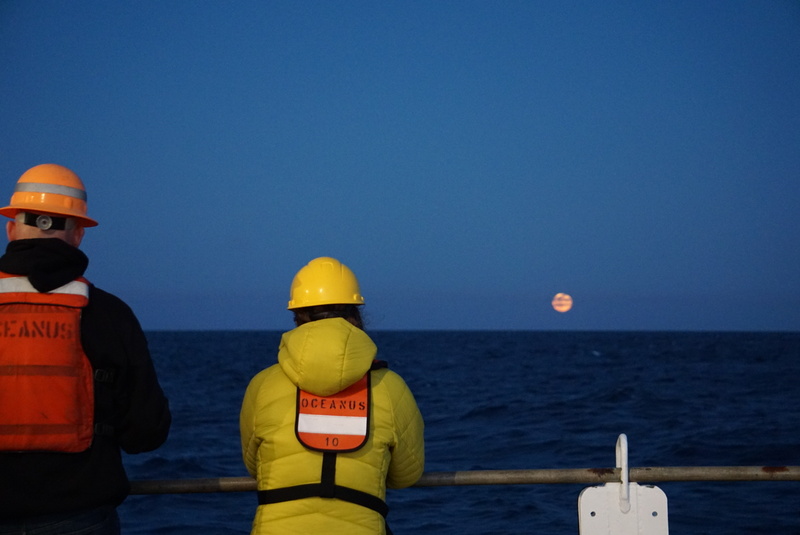 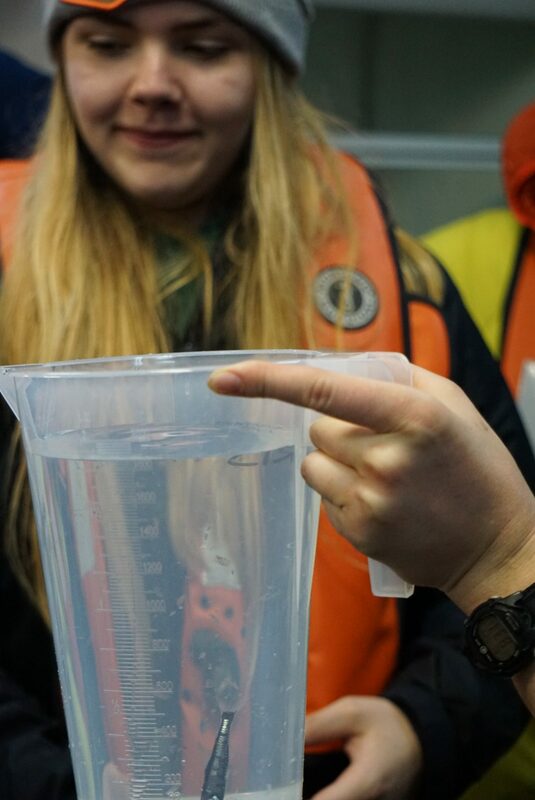 Visit the GEMM lab blog to find out more about the marine mammals and birds encountered on Day Two. 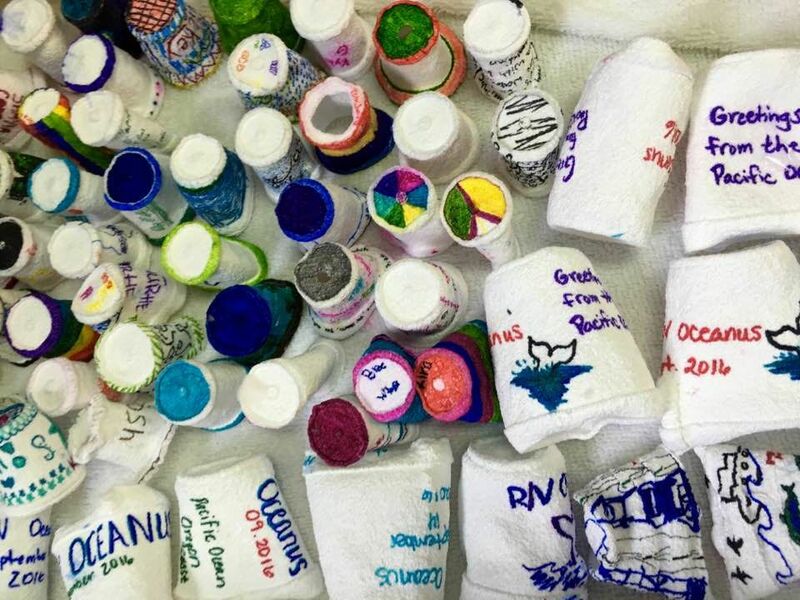 Students and teachers have spent some of their downtime on the R/V Oceanus decorating styrofoam cups to send down to the bottom of the Pacific Ocean. 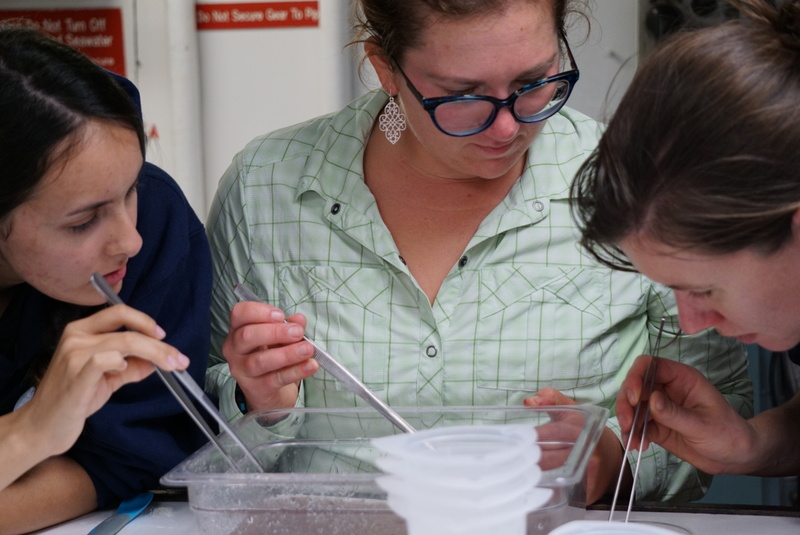 Here are a couple of photos of the process. 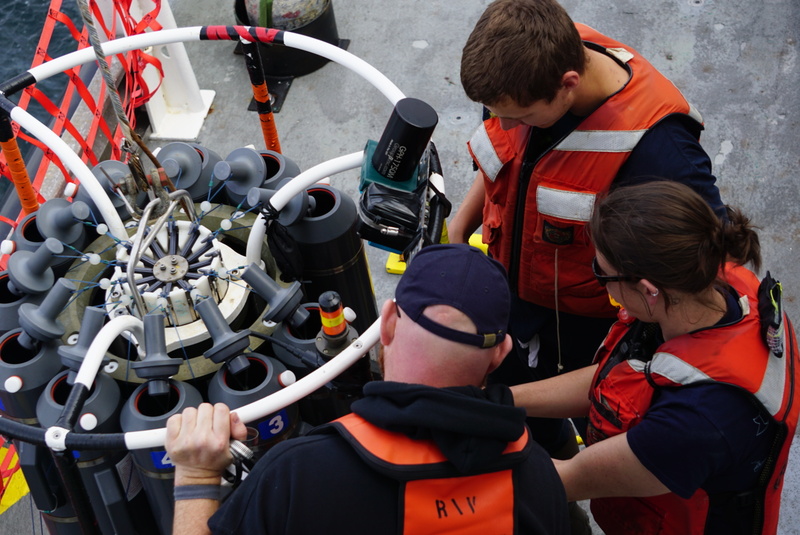 The decorated cups were attached to the CTD that was about to be deployed. 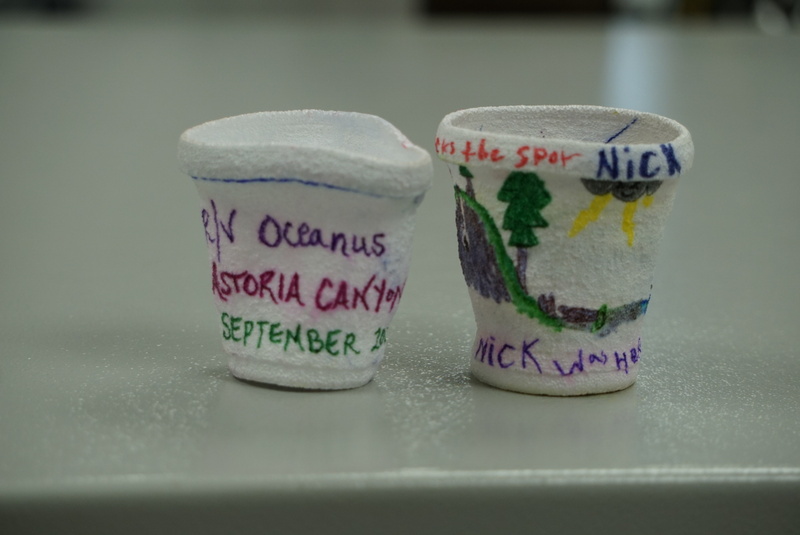 We used two sizes of cups. 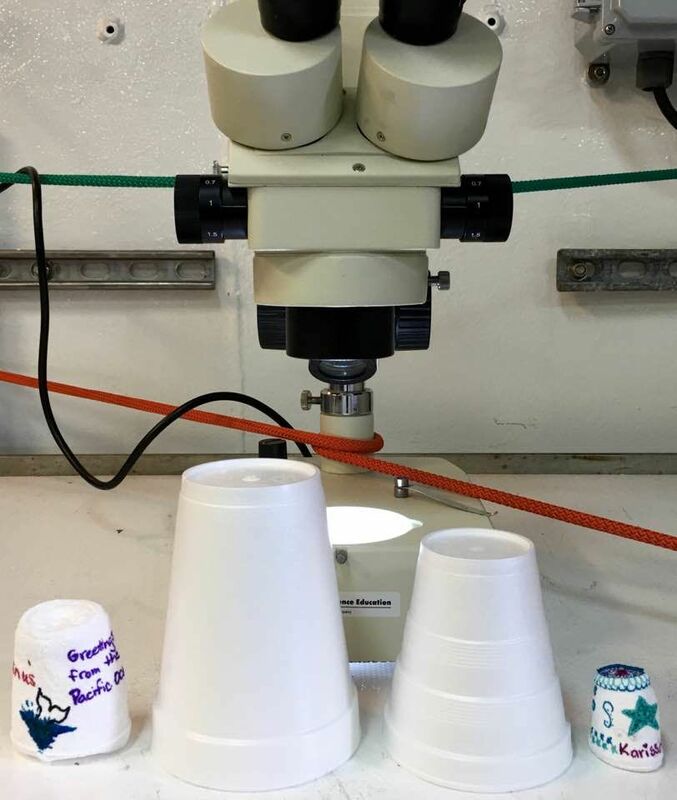 This photo shows the difference in size before (center) and after (sides) the cups were sent to the deep ocean. 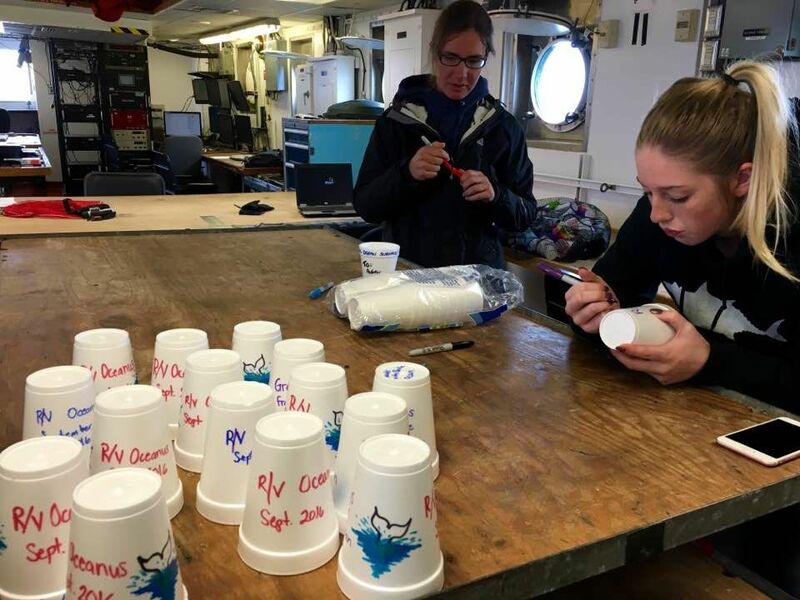 The styrofoam cups made it back from their journey to deep, 1400 meters to the sea floor attached to the CTD. 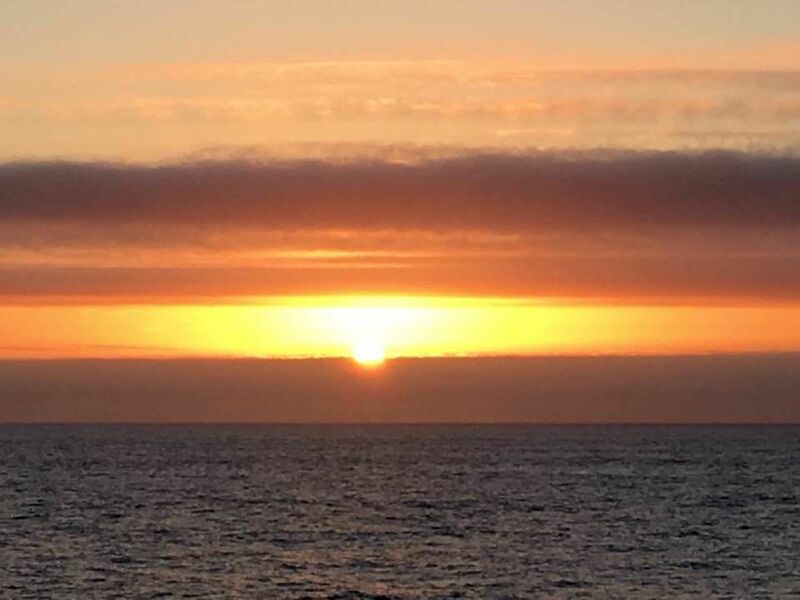 The sunset was a glorious ending to a great day. 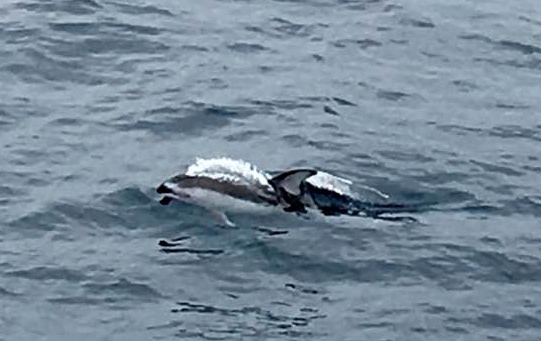 Although we didn’t see as many whales today as yesterday, we did see numerous humpbacks, a couple of fin whales, some Dalls porpoises, and some Pacific white-sided dolphins, as well as some sea lions, albatross, and ocean sunfish (mola-mola). 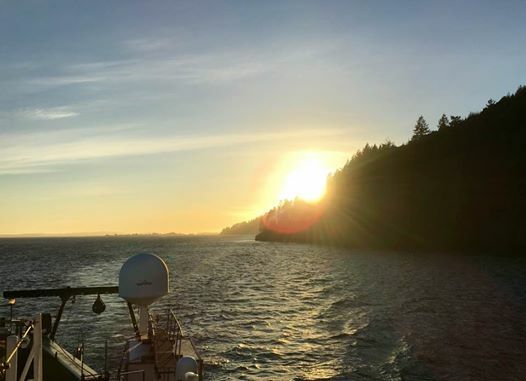 We have left the waters off Heceta Head and will be making our way towards Astoria Canyon overnight. 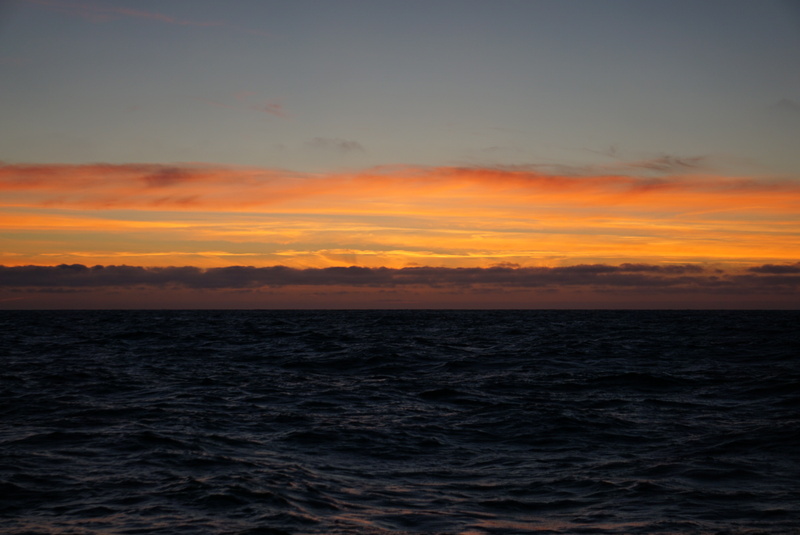 Sweet dreams to everyone aboard and on land! 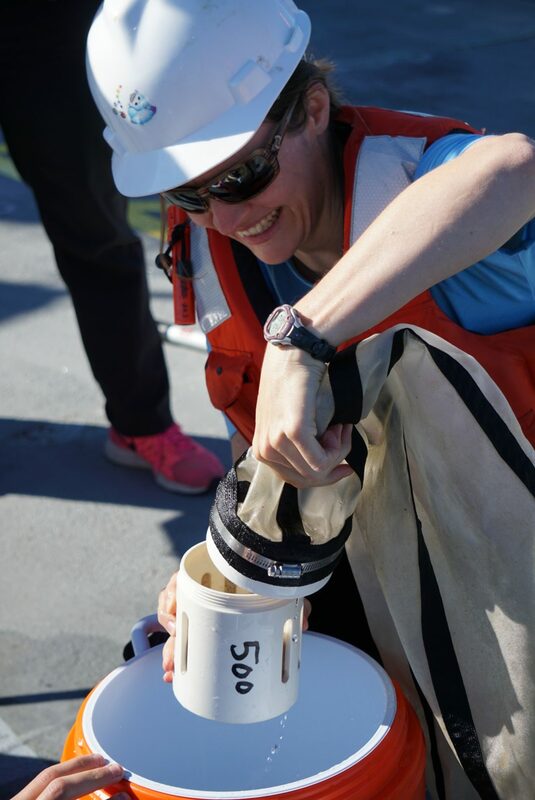 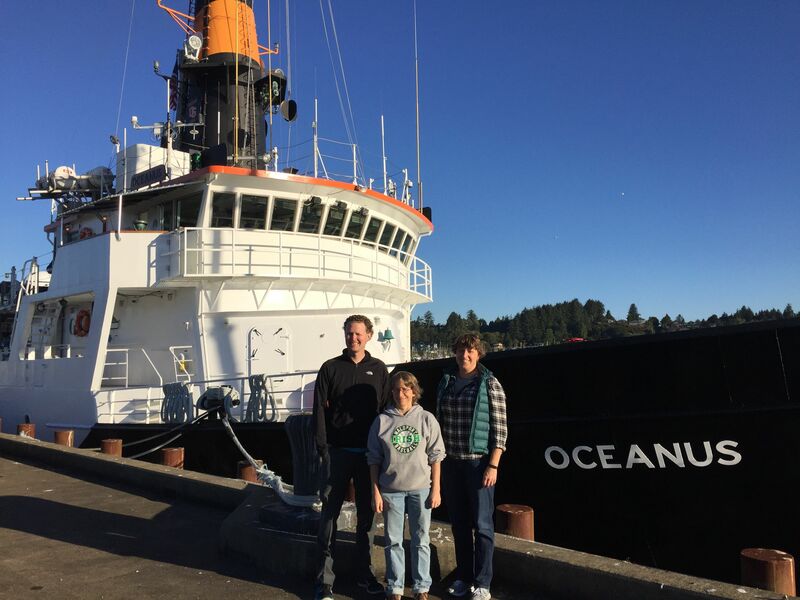 Tracy Crews is the PI for the “Shipboard Experiences on the R/V Oceanus” research cruise, the Marine Education Manager for Oregon Sea Grant at Hatfield Marine Science Center, and the STEM Programs Coordinator for the Oregon Coast STEM Hub. 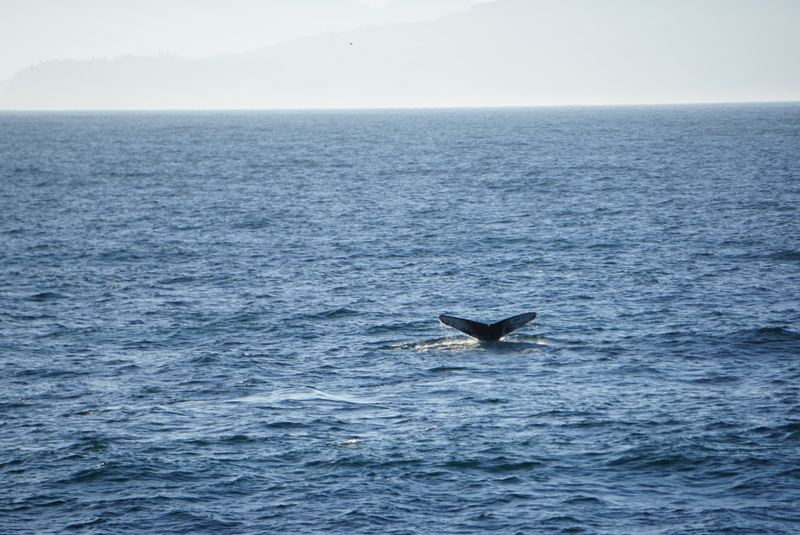 A huge group of humpback whales put on quite a show for us lunge feeding and breaching. 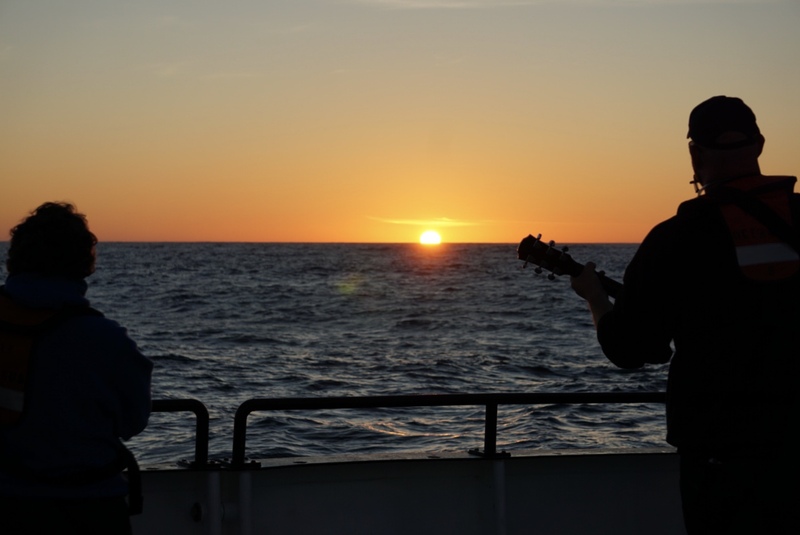 What a great way to end our first day at sea! 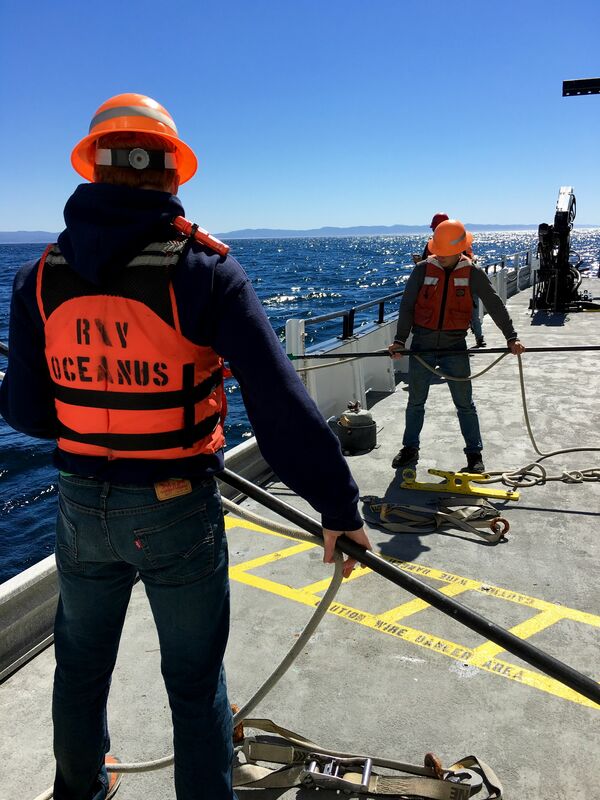 What was Day One on the R/V Oceanus like for the students, teachers, and researchers on board? 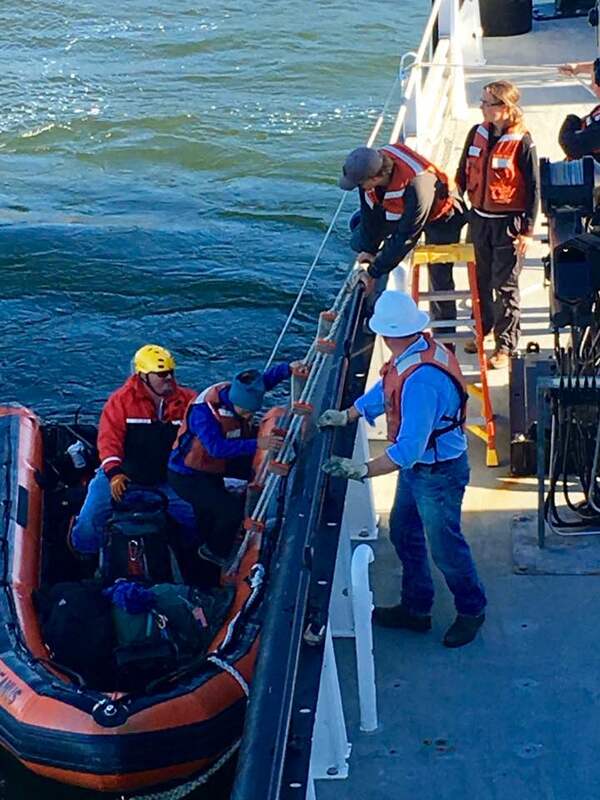 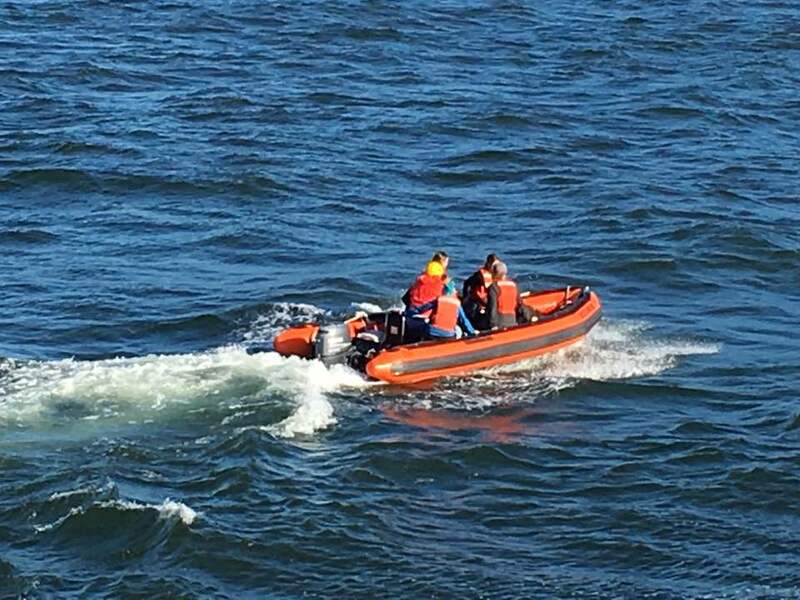 Knot tying, safety at sea, deploying and retrieving scientific instruments, interpreting data, conducting effort surveys, and photo identification of whales…. 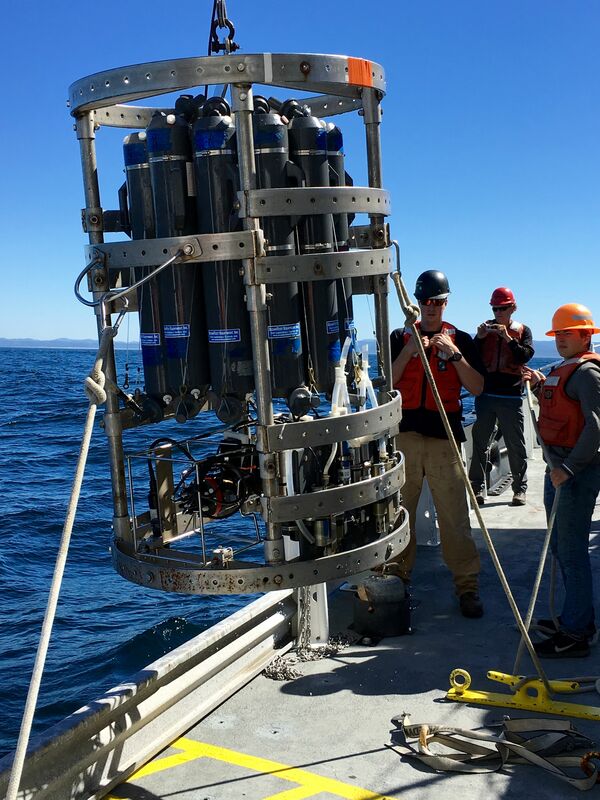 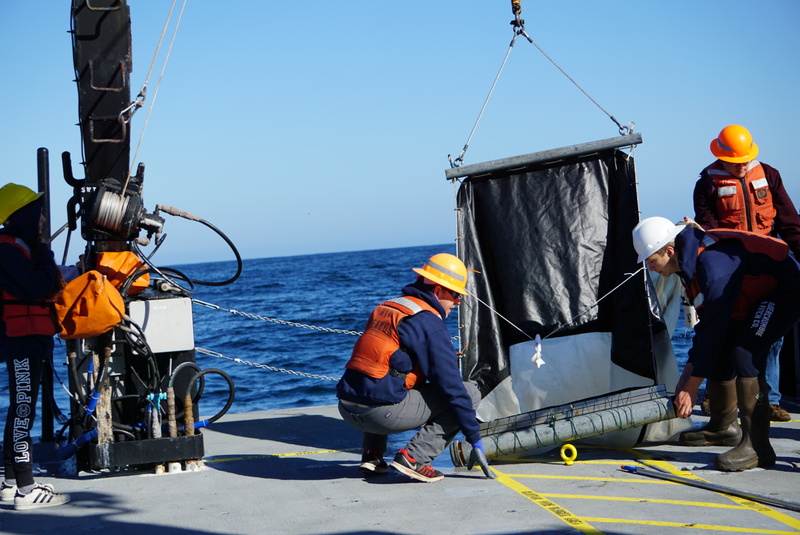 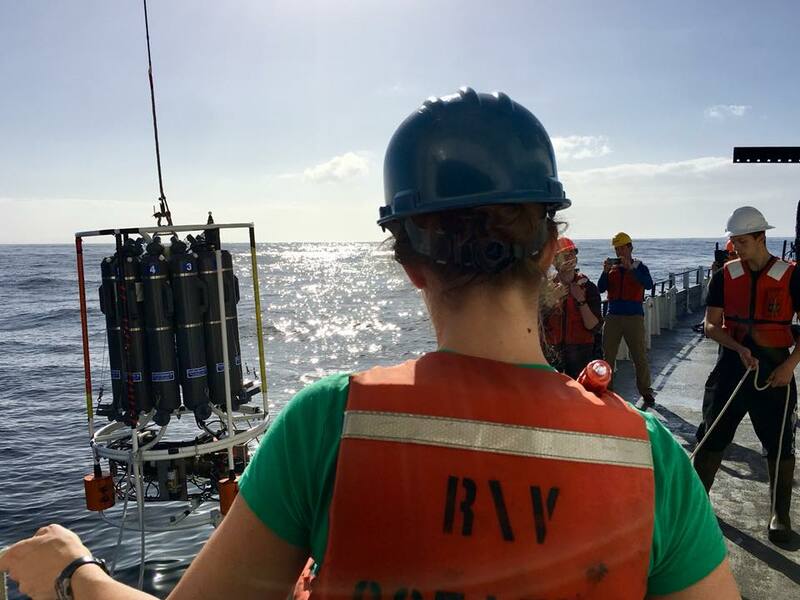 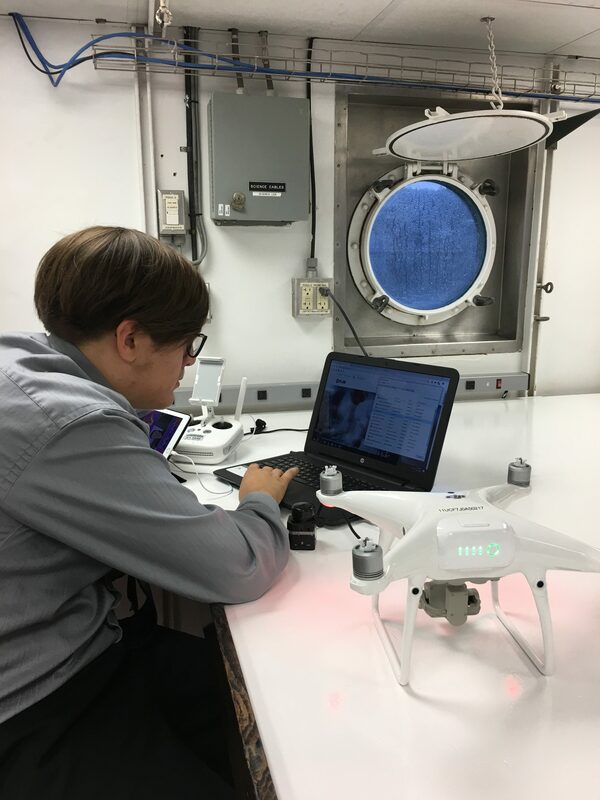 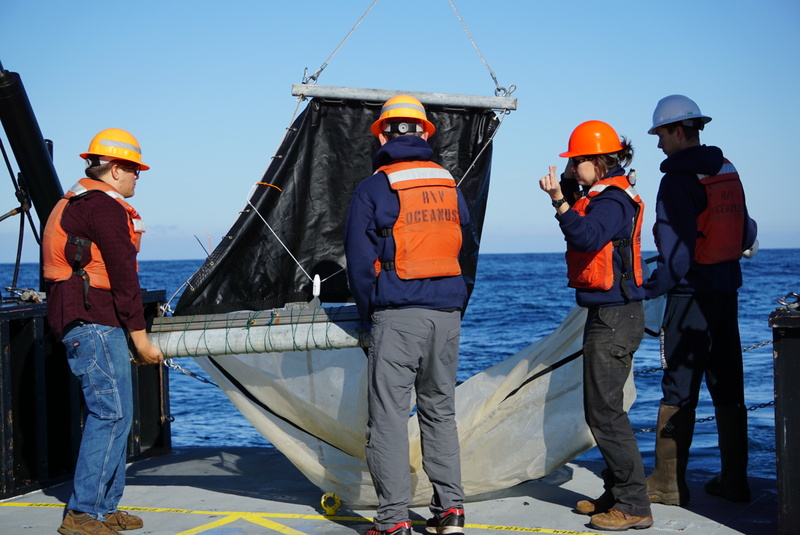 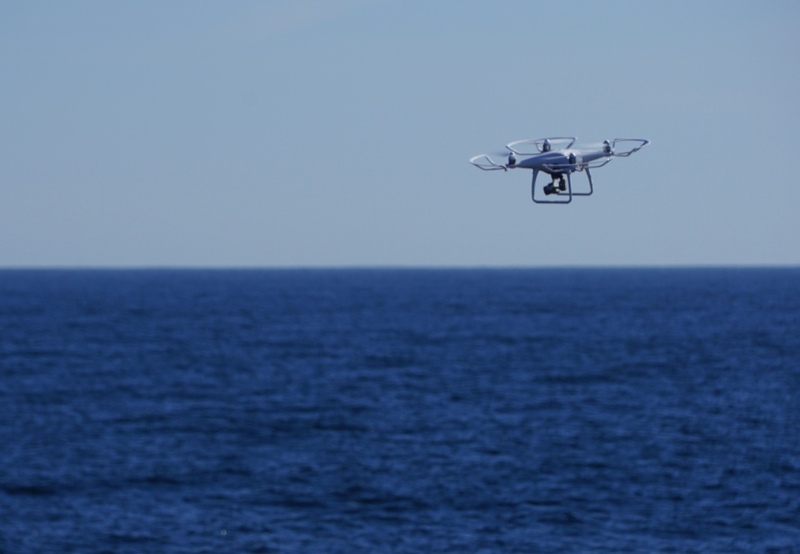 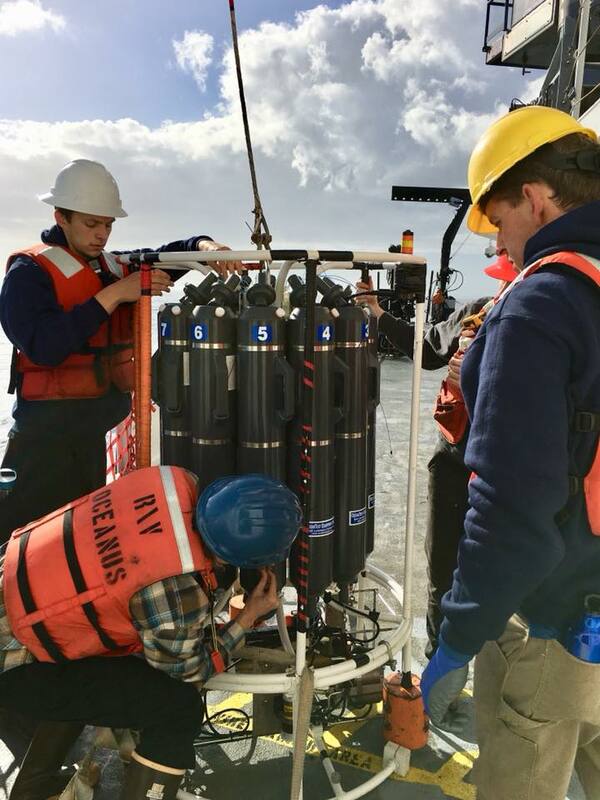 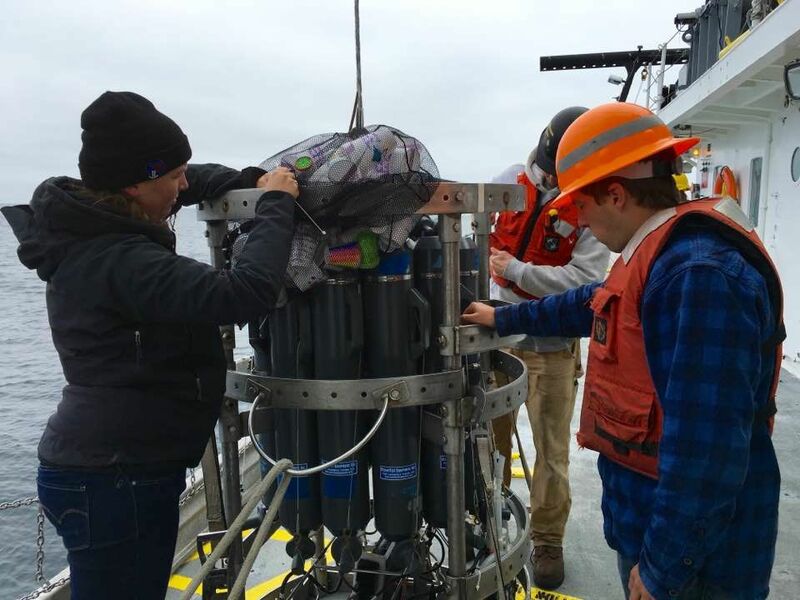 …these are just a few things that teachers and students on board OSU’s research vessel Oceanus put into practice yesterday on the first day of a three day research cruise off the Oregon coast. 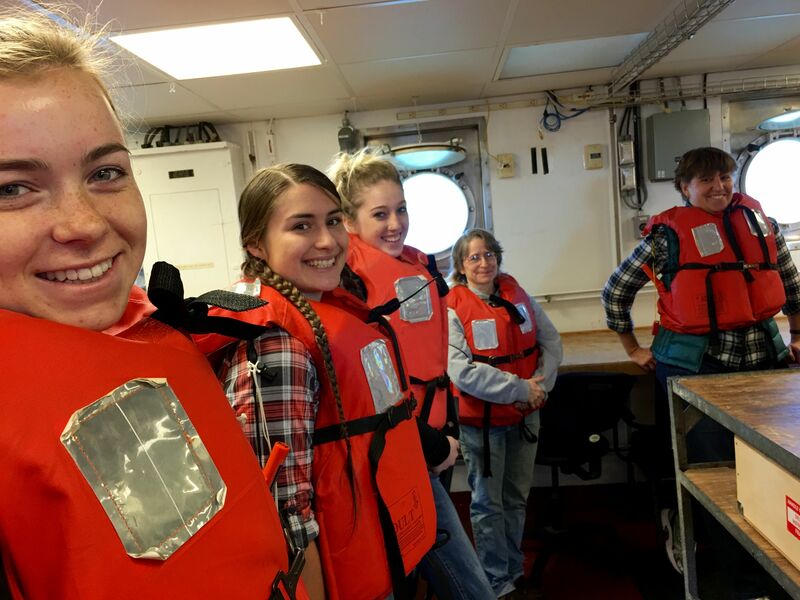 Before even leaving the dock, participants started their training, learning about shipboard technology and donning survival suits during safety drills. 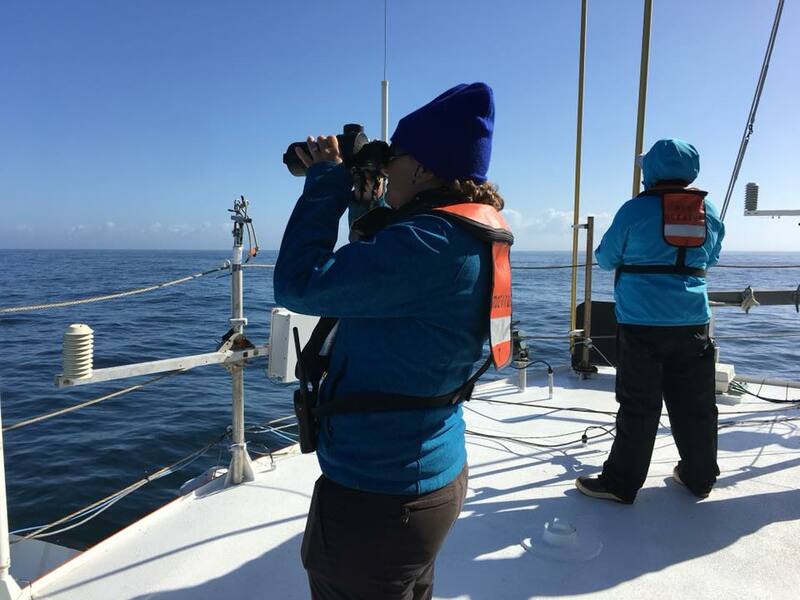 Crossing the bar, we spotted the first marine mammals of the day: a few gray whales and California sea lions. 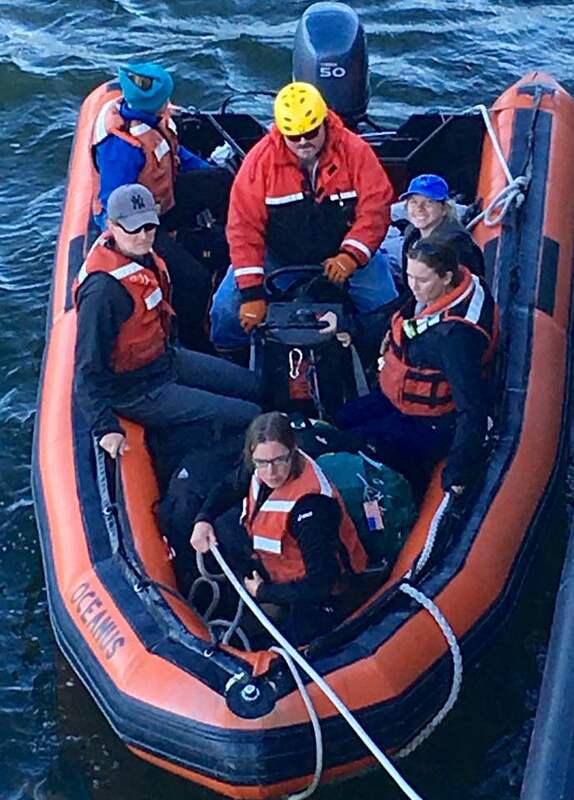 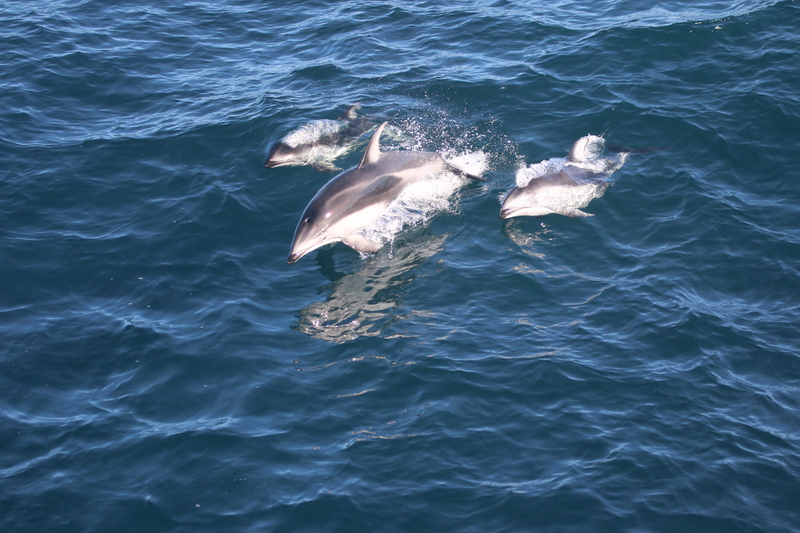 During this cruise, teachers and students will get an in depth look at how researchers identify, track, and study marine mammals in Oregon waters and beyond, and how baththymetry and oceanographic conditions influence the distribution of these animals. 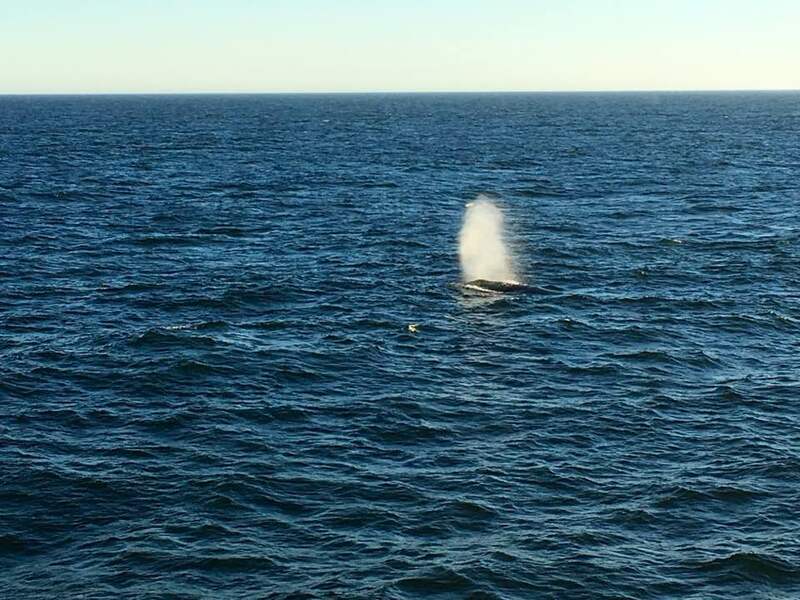 A humpback whale blows at the surface. 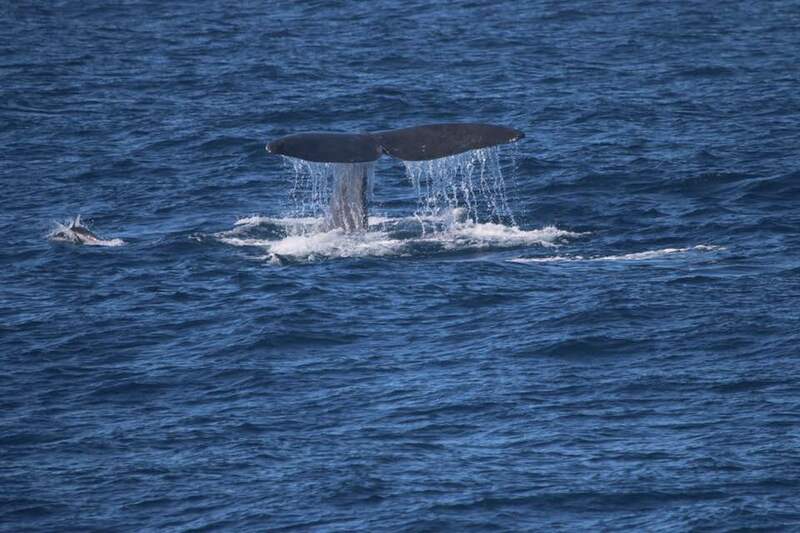 As the first day of the cruise progressed and we passed over Stonewall Bank, we spotted a small pod of humpback whales. 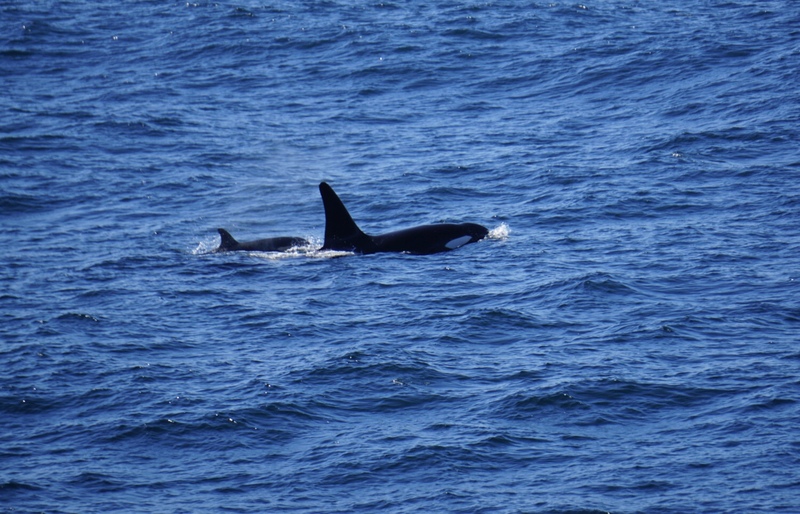 As we transmitted south, we also encountered a pod of orcas. 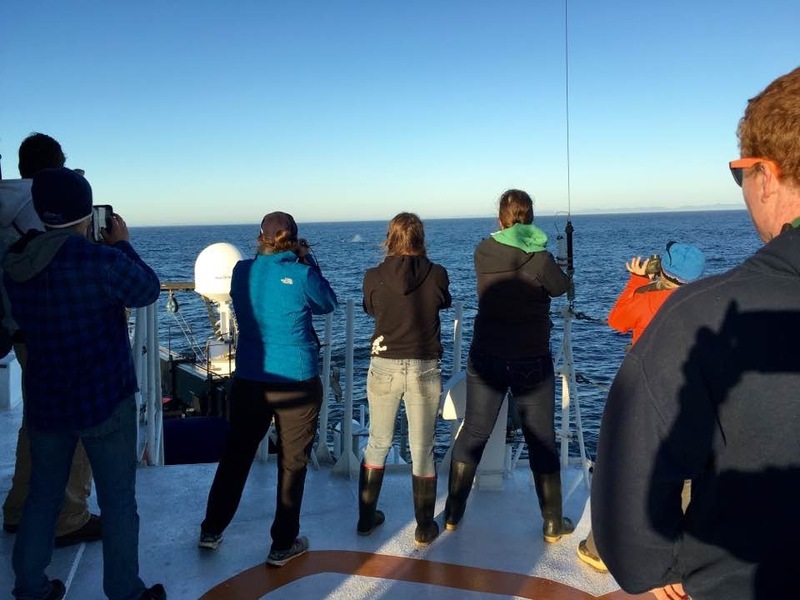 The grande finale of the day came early sunset when a large group of humpback whales (approximately 50) was spotted near Heceta Bank. 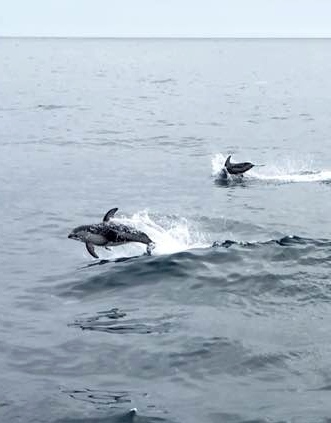 They were lunge feeding, opening their huge mouths and taking in water and, presumably, lots of food. 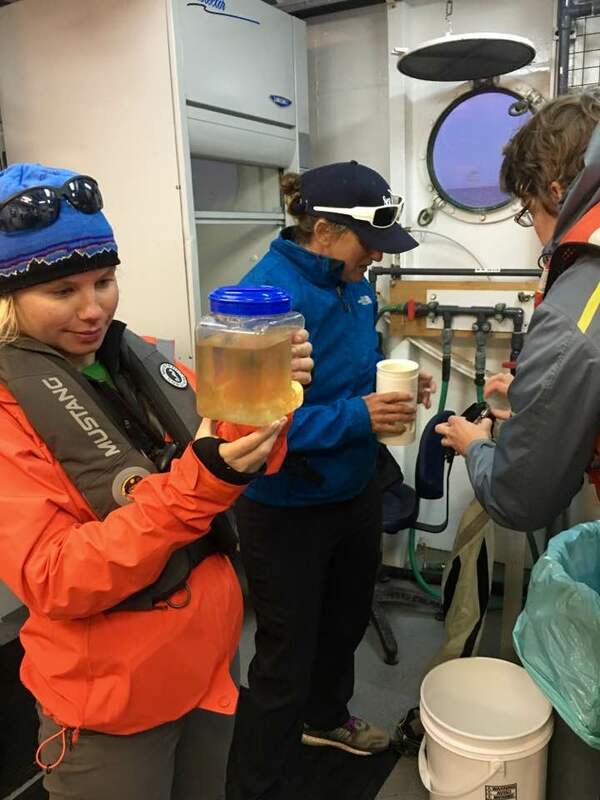 A plankton tow confirmed the presence of krill, which is a favorite prey item for humpbacks. 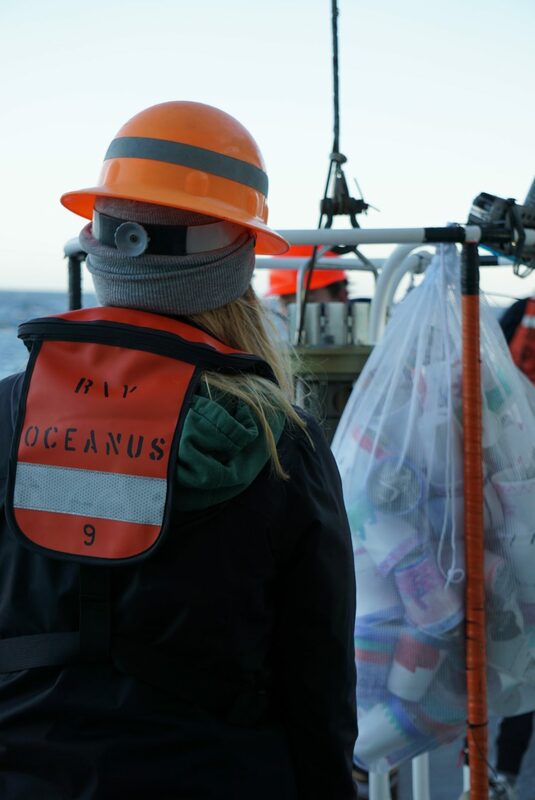 When we came across a huge group of humpback whales, we decided to take a plankton tow and found it chocked with krill. 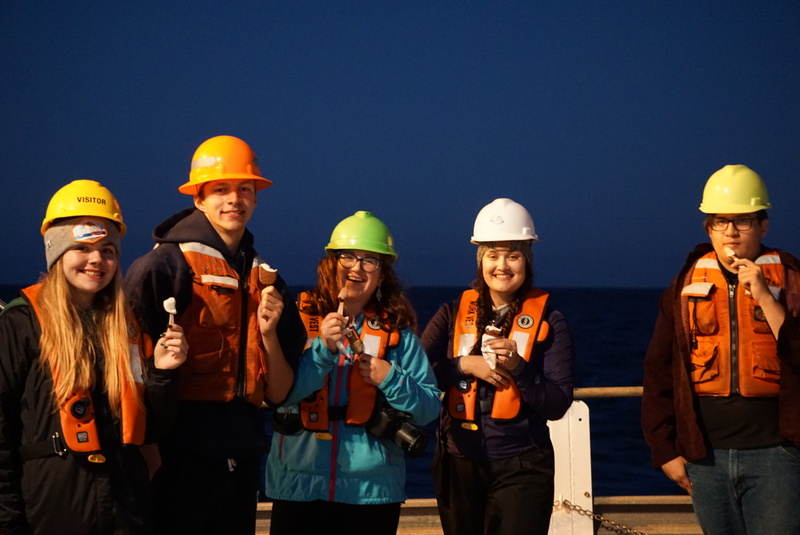 With a final debriefing at 8:30 pm, teachers and students wandered off to their shared quarters excited but exhausted with a greater understanding of marine mammals and an appreciation for how hard researchers work. 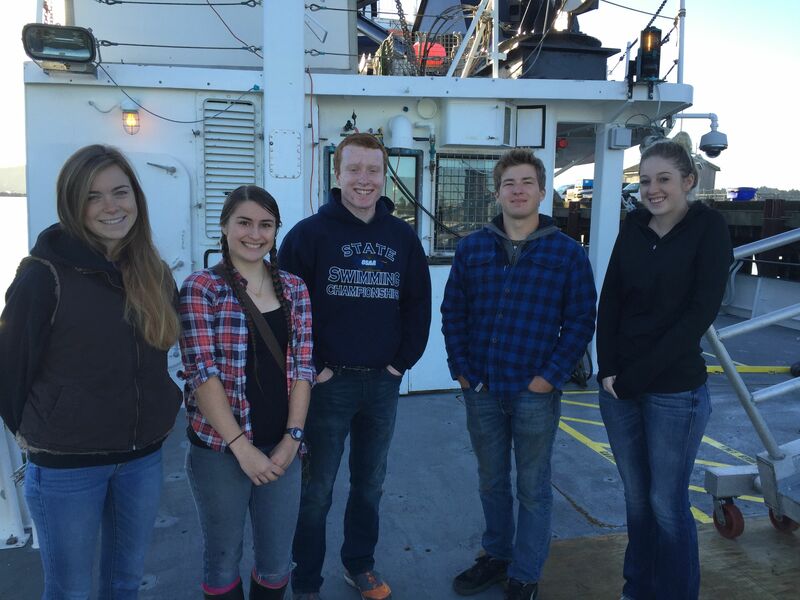 It was a great start to what we hope will be a successful experience for everyone! 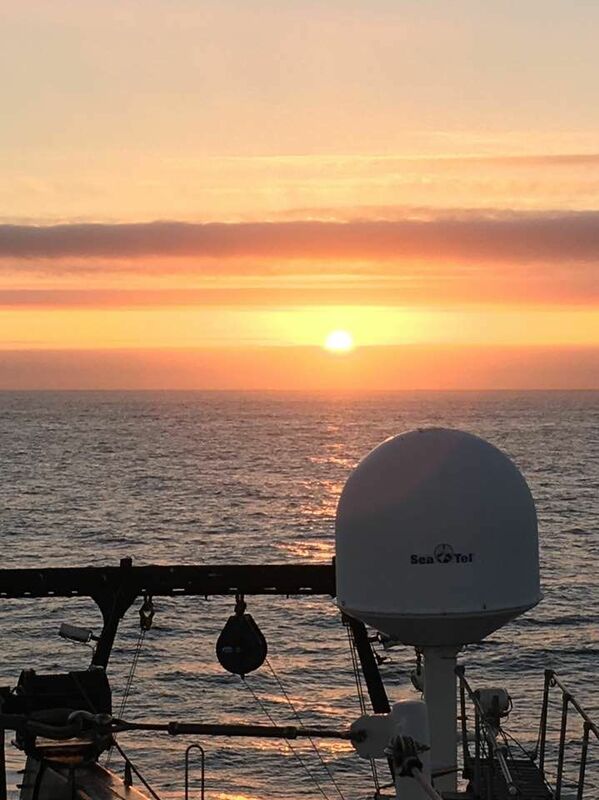 R/V Oceanus Day One: Hungry, Hungry Humpbacks from the GEMM Lab – OSU graduate students Florence Sullivan and Amanda Holdman describe the day with some great photos of whales contributed by Chief Scientist Leigh Torres. 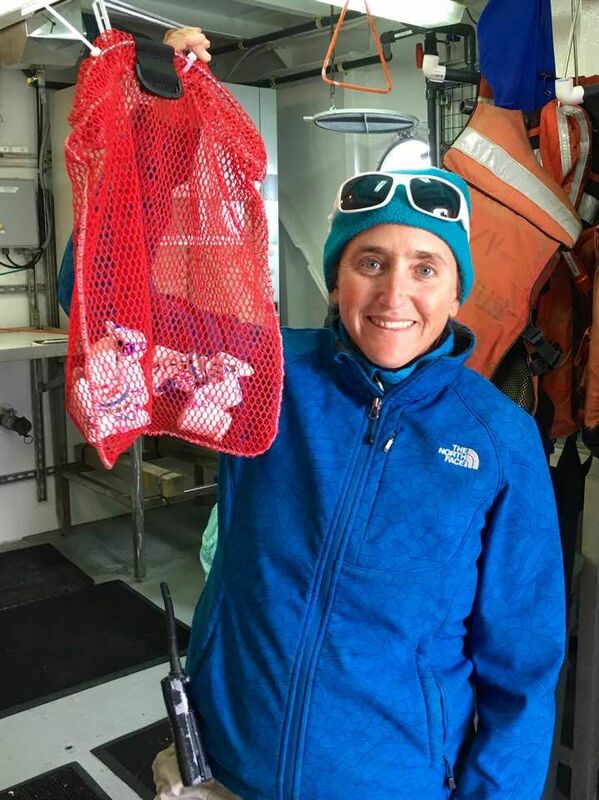 Of Whale Poop and Shearwaters – Waldport High School teacher describes what is was like to watch humpbacks lunge feed, and what she learned about the color of whale poop.